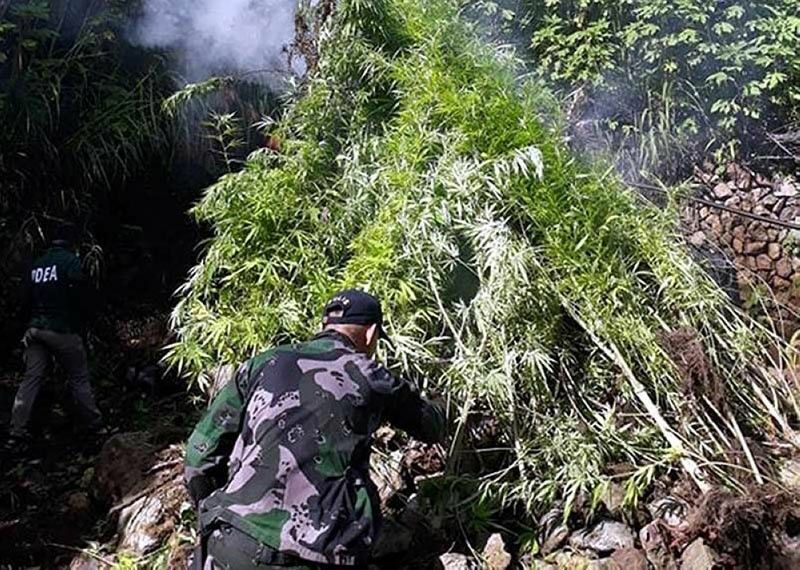 A JOINT operation of the Philippine Drug Enforcement Agency in Davao (PDEA 11) and police destroyed an estimated P2.1 million worth of fully grown marijuana in Sitio Pagkawian, Barangay Tubaon, Taragona, Davao Oriental. The two targets of the joint operation, however, eluded arrest. 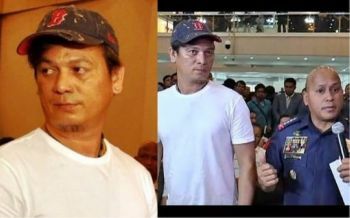 Merlindo Malintad and Gil Sugaan ran away when they saw the authorities arrest their cohorts, Vincent Lintuan and Rommel Adjanan, at around 11 a.m. Sunday, March 17. PDEA 11 information officer Noli Nephi Dimaandal said authorities uprooted 10,500 hills of fully grown marijuana plants with a street value of more or less P2.1 million. They also seized three units of improvised 12-gauge shotgun, two units air gun, and one piece knife were seized during the operation. Some of the uprooted fully grown marijuana plants were burned on site, while the others were brought to Taragona Municipal Ground for ceremonial burning. The ceremonial burning has yet to be announced, but this will be done in public to erase the skepticism of the public. The suspects are now detained at Taragona Municipal Police Station detention facility while the samples of the uprooted marijuana plants were submitted for laboratory examination. 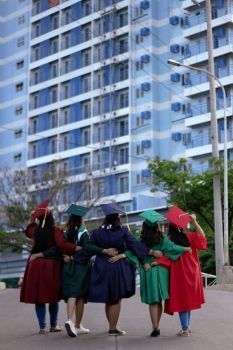 Cases for violation of Article II, Section 16 of the Republic Act 9165 otherwise known as the “Comprehensive Dangerous Drugs Act of 2002, Republic Act 10591 and violation of Omnibus Election Code are being filed against Lintuan and Adjanan. Dimaandal said the operation was jointly conducted by elements of PDEA 11 with Taragona Municipal Police Station, Manay Police Station, 3rd Company of Regional Mobile Force Battalion 11, Davao Oriental Provincial Mobile Force Company, Investigation and Detection Management Section and Provincial Intelligence Branch of Davao Oriental Police Provincial Office in coordination with 67th Infantry Battalion.